LA JOLLA–Four Salk Institute faculty members have been promoted after the latest round of faculty reviews determined they are scientific leaders who have made original, innovative and notable contributions to biological research. Satchidananda Panda has been promoted to the rank of full professor and Sreekanth Chalasani, Björn Lillemeier and Ye Zheng were promoted to associate professors. The promotions were based on recommendations by Salk faculty and nonresident fellows, and approved by President Elizabeth Blackburn and the Institute’s Board of Trustees on April 14. 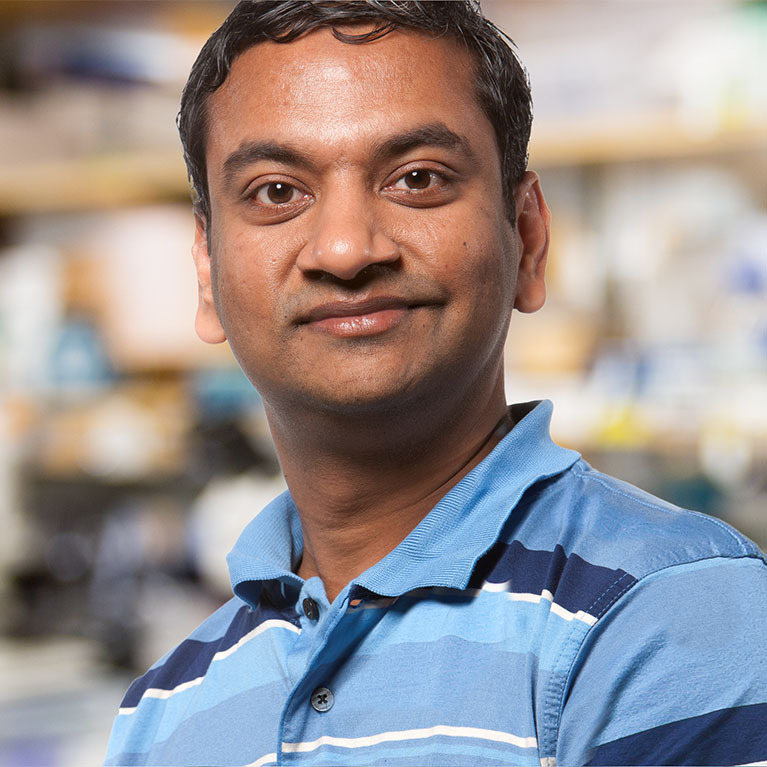 Satchidananda Panda, who conducts his research in the Regulatory Biology Laboratory, explores the genes, molecules and cells that keep the whole body on the same circadian clock. A section of the hypothalamus, called the suprachiasmatic nucleus (SCN), lies at the center of the body’s master clock and gets input directly from light sensors in the eyes, keeping the rest of the body on schedule. Panda discovered how these light sensors work, as well as how cellular timekeepers in other parts of the body function. He also uncovered a novel blue light sensor in the retina that measures ambient light level and sets the time to go to sleep and wake up every day. 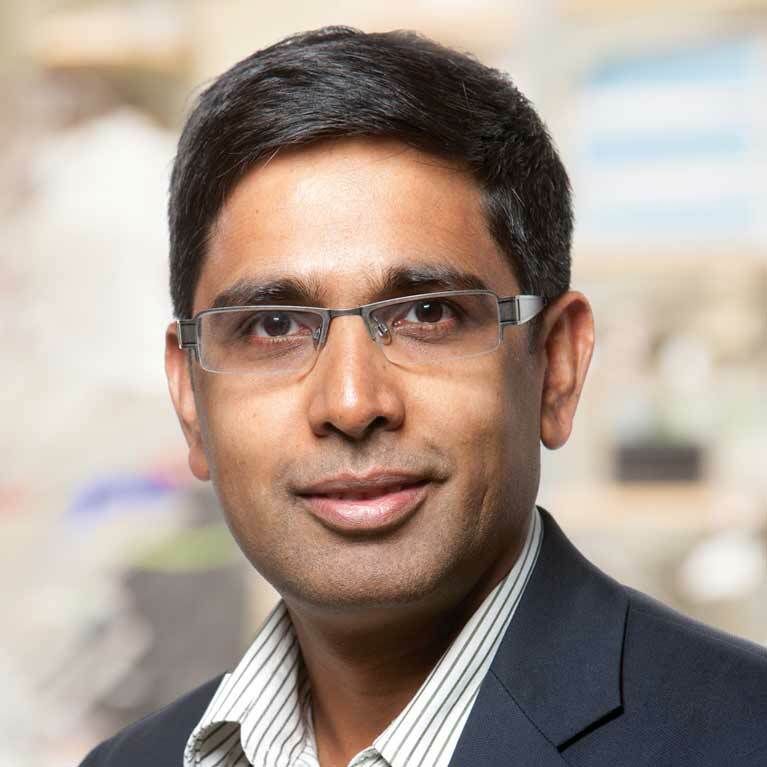 Sreekanth Chalasani, who conducts his research in the Molecular Neurobiology Laboratory, uses an organism with a much simpler nervous system than humans to answer questions about neuroscience: the roundworm Caenorhabditis elegans. Chalasani studies how the roundworm’s nervous system gives rise to such behaviors as fear and aggression. He is exploring what these tiny creatures can tell us about human aggression and fears, emotions and behaviors often necessary for our survival, but which are also sources of great suffering. The worm’s simple nervous system makes it useful for studying human diseases—and testing drugs—in a well-understood model. 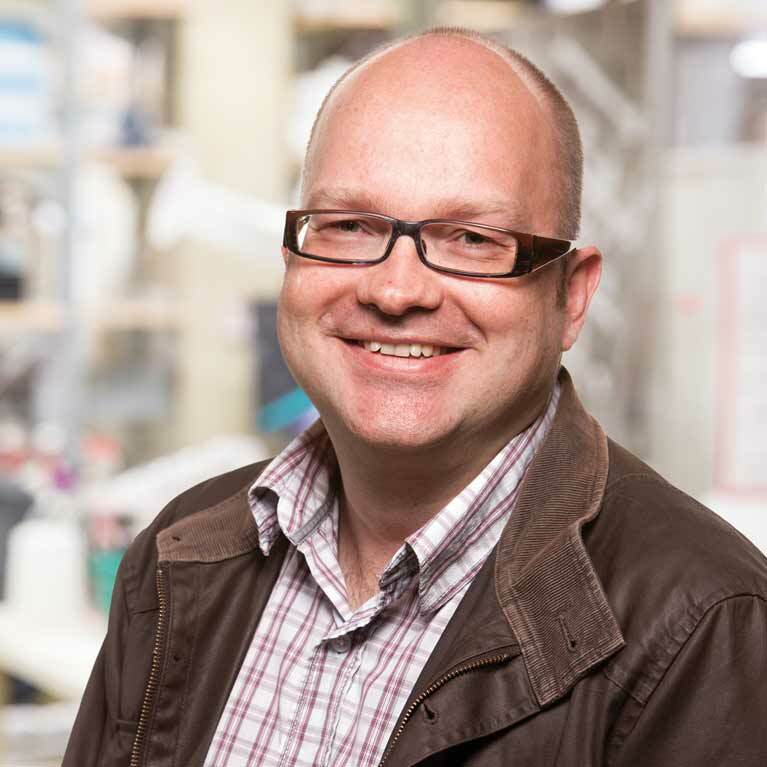 Björn Lillemeier conducts his research in the Nomis Foundation Laboratories for Immunobiology and Microbial Pathogenesis. He has adapted cutting-edge microscopy techniques for imaging proteins embedded in the outer membranes of cells. His super-resolution imaging approaches have allowed him to see the exact placement of these proteins in the membranes of immune cells, specifically T cells. These observations of the spatial arrangements of proteins in immune cells, and how they change during an immune response, are the most detailed descriptions yet. Lillemeier’s findings could lead to a better understanding of how protein arrangements are misregulated during immune system disorders and how scientists might be able to control their physiological functions. 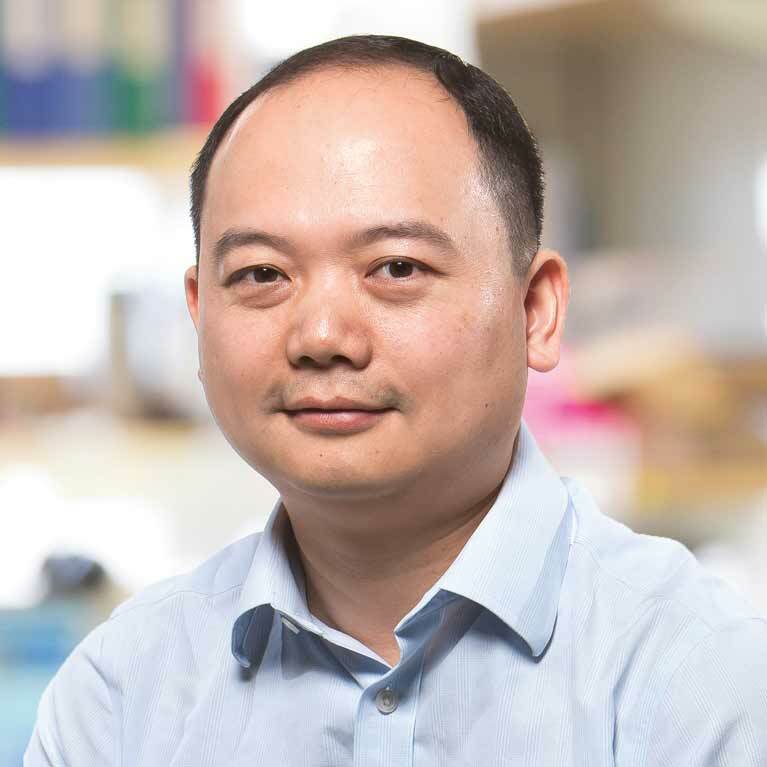 Ye Zheng also conducts his research in the Nomis Foundation Laboratories for Immunobiology and Microbial Pathogenesis. His focus is in on a specialized set of immune cells called regulatory T (Treg) cells to learn to strengthen or correct the immune system. Tregs control the immune response, telling the more aggressive immune system cells when to stop their frenzied attack. Abnormal Treg function has been linked to multiple autoimmune diseases and tumors. In particular, a key molecular component of these cells, a protein called Foxp3, is often responsible for deficient Tregs.